You are here: 3B Training > Job Searching > What are Enhanced Learning Credits? What are Enhanced Learning Credits? Enhanced Learning Credits help to train ex-armed forces members. Enhanced Learning Credits are available to a current or ex-member of the armed forces who have served a minimum of six years. Delegates can use ELC points to fund higher level training courses. Who signs the ELC claim on behalf of a service leaver? The Single Service Representative needs to complete your form. Their contact information can be found on the ELC website. How many Enhanced Learning Credits claims can I make? You can make up to three claims, but only one per financial year. Which tier am I eligible to claim from? If you have completed at least four years of service before 1st April 2017 or no less than six after 1st April 2013, you can claim from the lower tier of funding. At least eight years of eligible service is required for you to claim from the higher tier. If I’ve already paid for my course can I still claim? Delegates cannot make ELC claims retrospectively. Is there a deadline to making my claim? Your last claim must be made before 10 years of your last day in service before 1st April 2011. 31st March 2021 is the expiry date of that who left between April 2011 – 31st March 2016. Anyone who left after that will have an expiry date of 5 years since your last day of service. What is the lower tier or high tier? Lower tier: claim up to 80% of a Level 3 or above qualifications up to a maximum price of £1000. 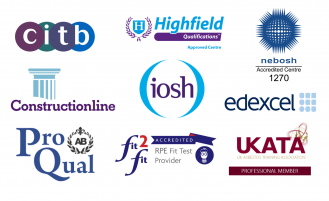 Higher tier: claim up to 80% of a Level 3 or above qualifications up to a maximum price of £2000. How do I know if the course is Level 3 or above? 3B Training will be able to advise you on what level the course you require is and if it is eligible to claim for. Take a look at our upcoming dates here.